The 2750 gets the suede treatment! 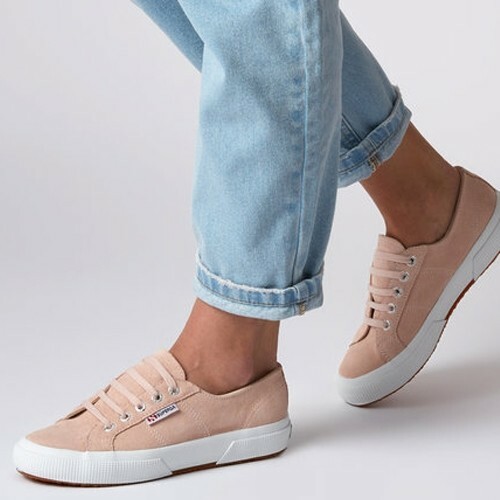 A lightweight, simple tennis shoe with vulcanised rubber sole in a beautiful pastel pink suede. In production since 1911, this is a shoe you can genuinely dress up or dress down. We recommend going by your EU size when ordering.